San Diego, Calif. – April 20, 2016 — Altium LLC and CST® have announced the release of a new Power Distribution Network (PDN) analysis extension for Altium Designer®, the flagship PCB design tool from Altium. PDN Analyzer powered by CST® allows PCB designers to easily resolve PDN issues as they arise during a board layout process without requiring physical prototypes or dedicated simulation expertise. The PDN Analyzer provides a complete PDN analysis workflow including voltage and current visualizations in Native 3D, integrated power distribution network analysis, and a fully unified design and analysis workflow in Altium Designer. This tool is available now as an extension to the Altium Designer platform, and those interested can contact the Altium sales team to get started. Precise PDN analysis for every PCB designer. Engineers can easily identify and resolve DC voltage and current density issues during the board layout process with an intuitive and easy-to-use PDN analysis tool. Unified design and analysis workflow in Altium Designer. Engineers can continuously analyze voltage and current performance throughout the board layout process to ensure your PDN is optimized and error-free. Powerful analysis technology from the CST® simulation experts. Engineers can leverage over 30 years of simulation technology from the experts at CST® to quickly resolve PDN issues without relying on physical prototypes. By identifying PDN issues as part of the board layout process, engineers are able to avoid the conventional and costly practices of relying on physical prototypes or simulation experts to resolve their issues in post-design processes. 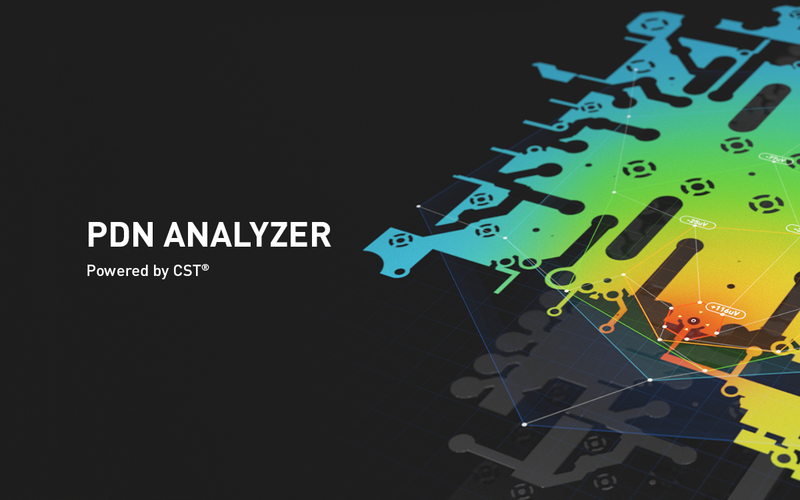 PDN Analyzer powered by CST® expands upon the existing technology platform built by CST® - Computer Simulation Technology, an industry-leader of high-performance simulation software. With the CST® technology fully integrated into the Altium Designer platform, engineers have access to all the tools needed to successfully complete their design process from schematic capture to final production. PDN Analyzer is available now as a paid extension for Altium Designer. Engineers interested in learning more about this extension can learn more on the PDN Analyzer Overview page. Founded in 1992, CST offers the market’s widest range of 3D electromagnetic field simulation tools through a global network of sales and support staff and representatives. CST develops high-performance software for the simulation of electromagnetic fields in all frequency bands as part of CST STUDIO SUITE®. With both general purpose and specialized solvers available, CST’s products can be used in applications across the electromagnetic spectrum and suit many industrial workflows. CST’s Complete Technology approach allows its products to complement each other, thus offering greater accuracy, versatility, and usability. CST’s customers are market leaders in industries as diverse as telecommunications, defense, automotive, electronics and healthcare. Today, the company enjoys a leading position in the high-frequency 3D EM simulation market and employs 290 sales, development, and support personnel around the world.